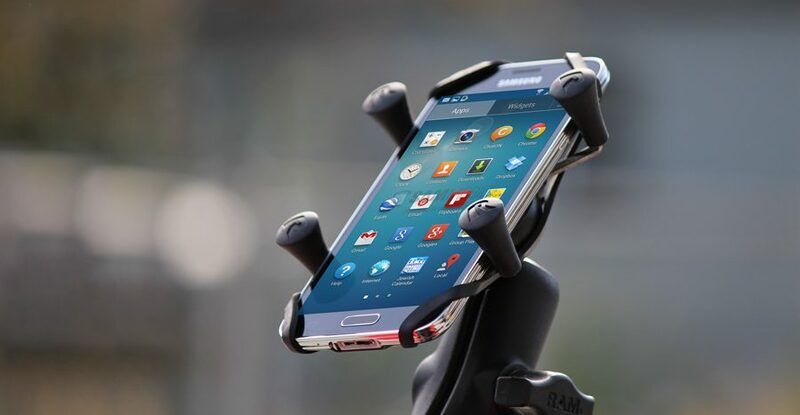 The RAM® X-Grip® is one of the best-selling and most trusted device mounts on the market, providing simple mounting and a secure hold for phones and tablets of all sizes. Under extreme environments, you can ensure added peace of mind with the RAM® X-Grip® tether. Editor’s Note: This post was originally published in October 2015 and has been updated for accuracy, freshness and comprehensiveness. The RAM® X-Grip® tether is recommended for applications where excessive wind and G-force could cause movement of the device within the holder. It’s also great if you just want a little added stability and vibration control when capturing video from the mount. The tether is made of high-strength elastomeric material and fits around the RAM® X-Grip® holder so you can easily insert your device. Tethers are available in three sizes fitting phones and tablets up to 7”. See the video below for instructions on how wrap the tether around your device.